How might we give farmers easy access to soil and its quality to manage it as a resource more sustainable? 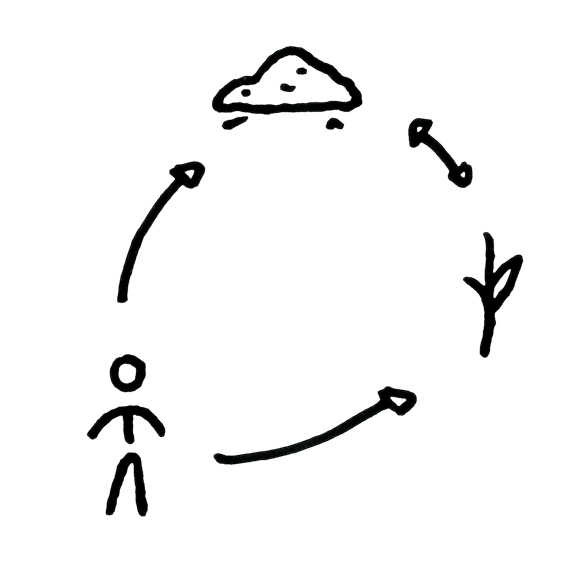 This project shows my master thesis. 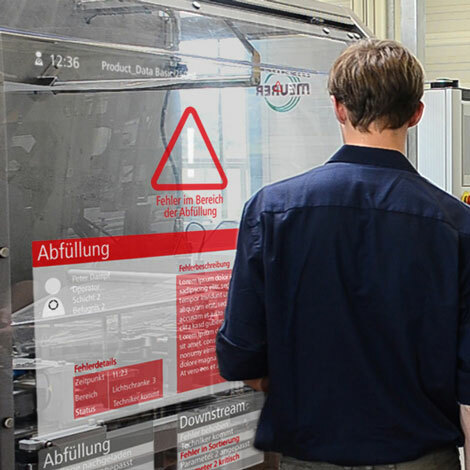 The focus is strongly on the holistic view of existing systems and processes, as well as problem analysis and human-centered redesign. 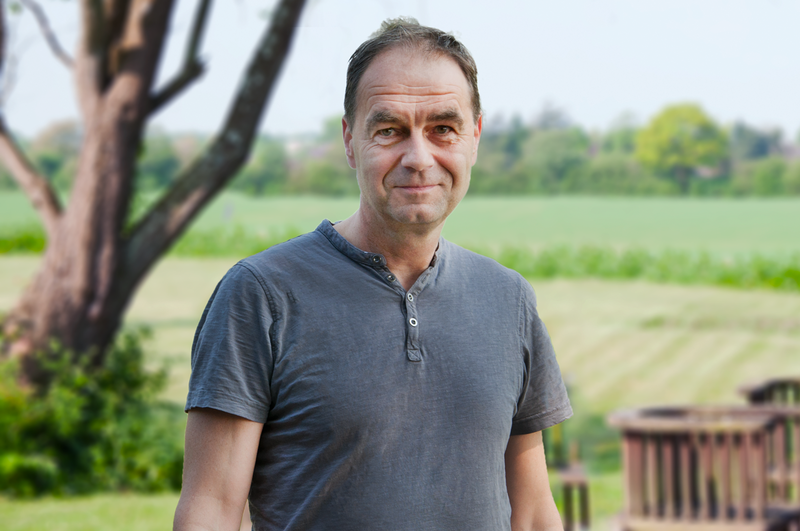 How can we create a new understanding of soil in agriculture? use of soil as a limited resource? This project shows my master thesis. The focus is strongly on the holistic view of existing systems and processes, as well as problem analysis and human centered redesign. use of soil as a finite resource? Many farmers are often under financial and time pressure. As a result, many farmers focus almost exclusively on the productivity of their crops. They literally lose touch with their soil. The soil is not sufficiently considered being a resource. Soil quality analysis is often outsourced to service providers, although it is the farmer who knows his land best. Many farmers are often under financial and time pressure. As a result, many farmers focus almost exclusively on the productivity of their crops. They literally loose touch with their soil. The soil as a resource is not sufficiently considered. Soil quality analysis is often outsourced to service providers, although it is the farmer who knows his land best. The concept of soilsensitive agriculture focuses on soil and the relationship between farmers and soil. 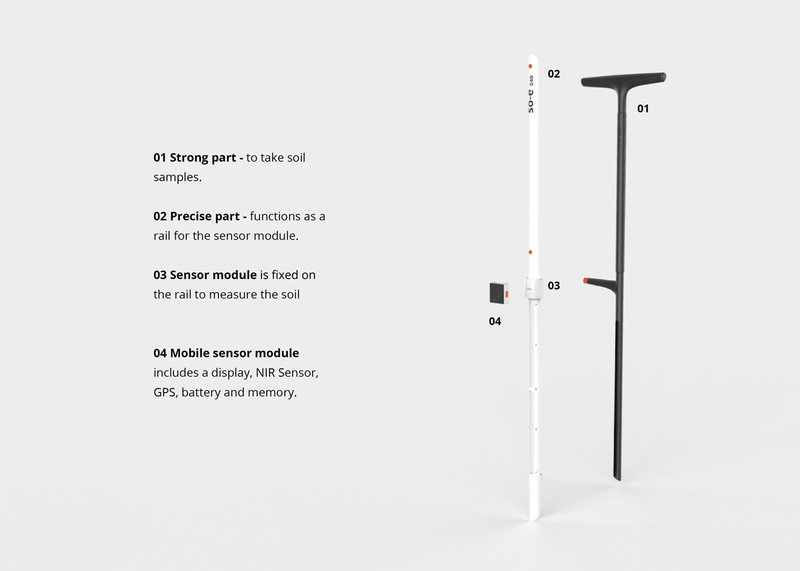 To give soilsensitive farmers a new understanding of soil, I designed a tool that makes it easy to measure and to observe soil. The concept of soilsensitive agriculture focuses on soil and the relationship between farmers and soil. 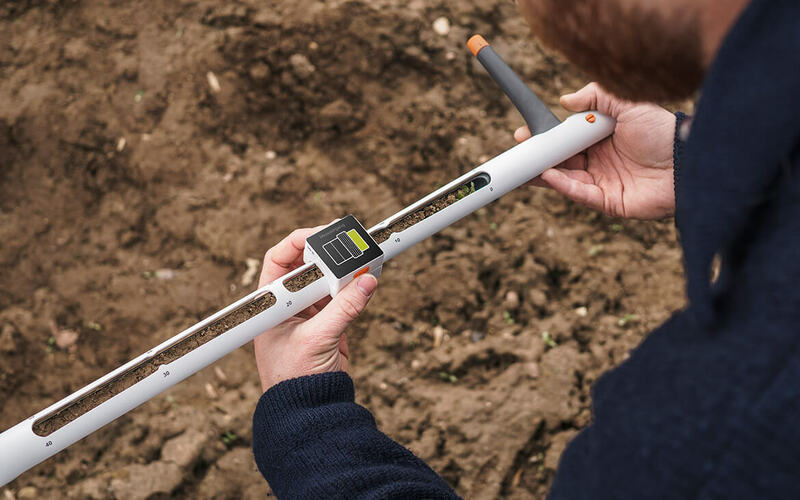 To give soilsensitive farmers a new understanding of soil, I designed a tool that makes it easy to measure and observe the soil. 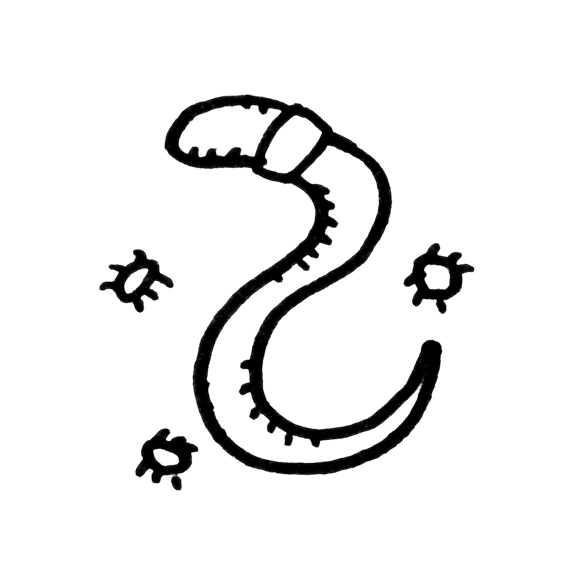 The soil is in danger. It only covers a thin layer of our earth. Healthy soil is a living organism, that is able to recover itself. But once destroyed, it needs more than hundreds of years to create a new thin layer of healthy soil. The transition from nature to agriculture increases soil loss. Soil is in danger. It only covers a thin layer of our earth. Healthy soil is a living organism, that is able to recover itself. But once destroyed, it needs more than hundreds of years to create a new thin layer of healthy soil. The transition from nature to agriculture increases soil loss. "If soil could talk to us, we would use it completely different. The vision of Soilsensitive Agriculture describes a holistic concept and a paradigm shift for agriculture. The future farmers must be able to come into direct contact with their resource soil. 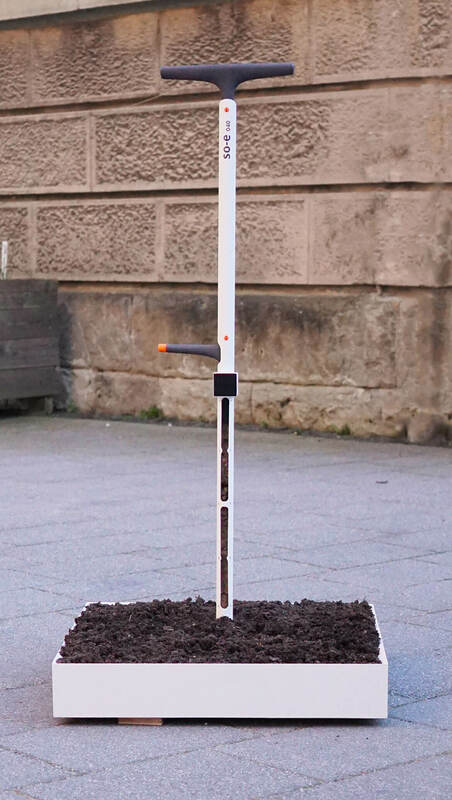 The concept shows a new understanding of the relation between soil, plants and humans. The vision of Soilsensitive Agriculture describes a holistic concept and a paradigm shift for agriculture. The future farmers must be able to come into direct contact with their resource soil. 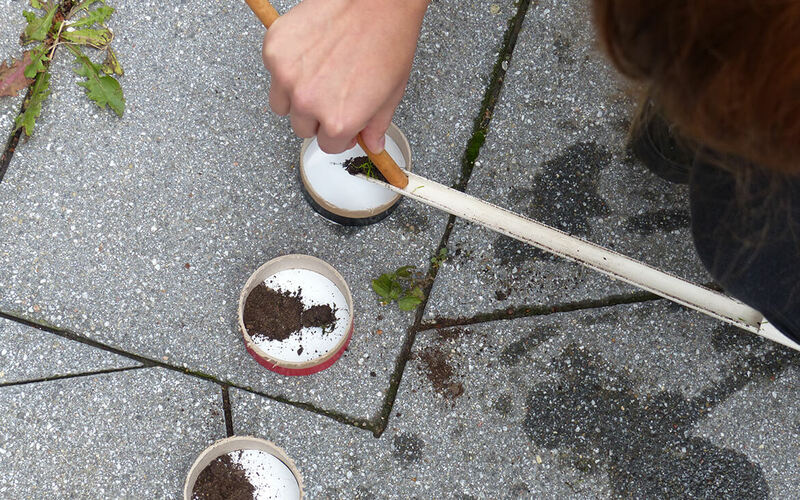 The concept shows a new understanding for the relation between soil, plants and humans. What is soil able to give? 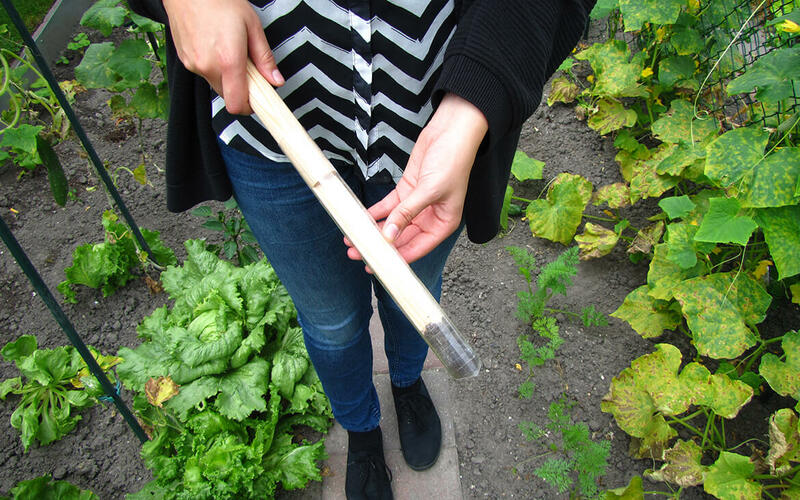 Knowing the soil quality also means knowing what the soil is able to give. 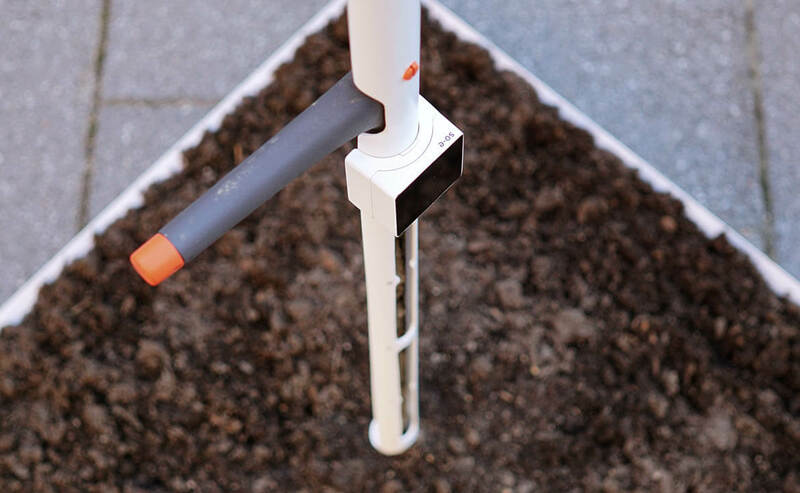 This concept shows a measuring and monitoring instrument for soils in agriculture. 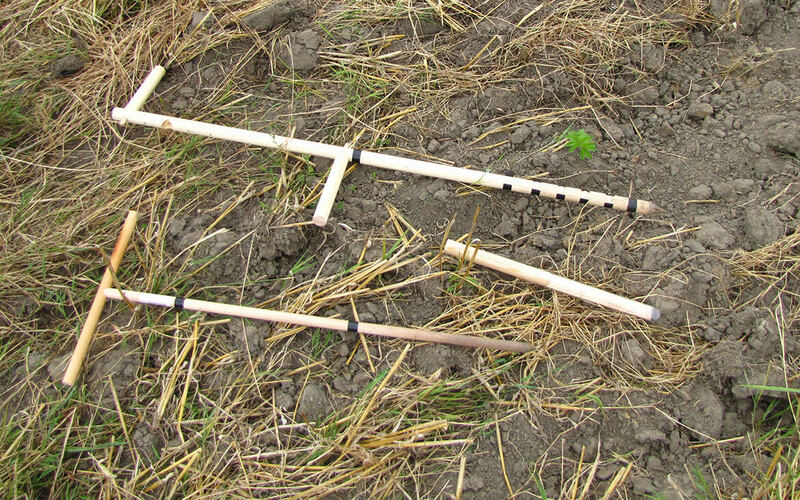 It enables the soilsensitive farmer both, to carry out area measurements and to take random samples. 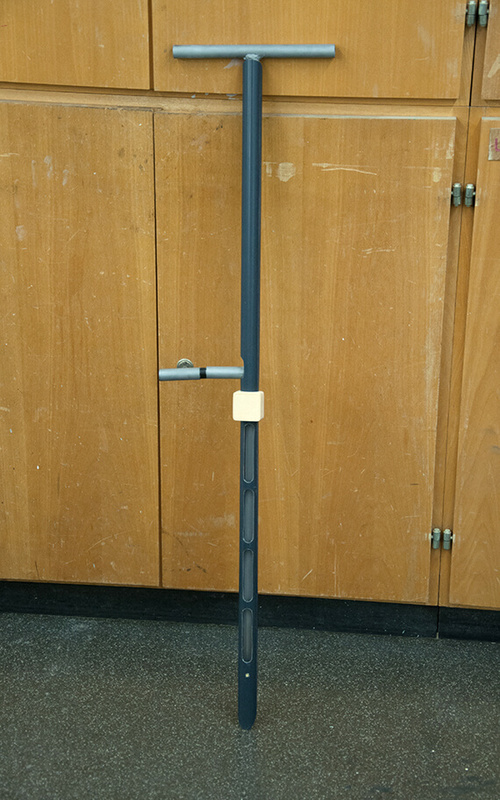 For taking the sample and measuring, the tool is divided into two parts. 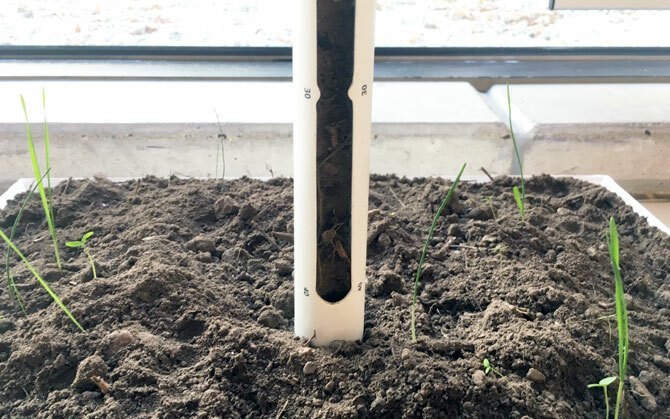 How might the soilsensitive farmer measure a soil sample? 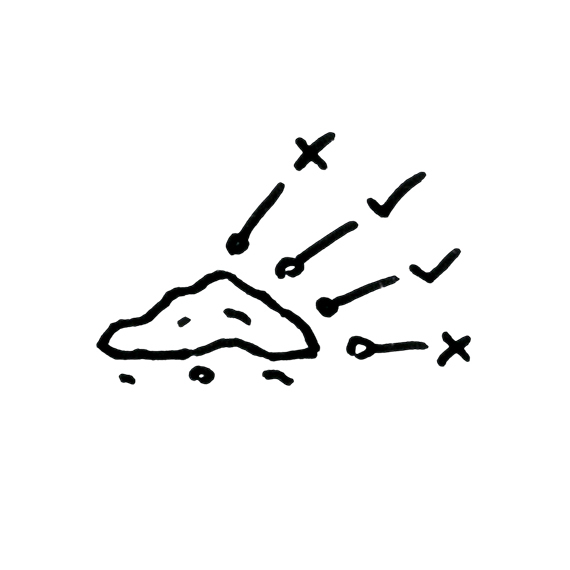 The farmer can measure the soil by himself. He brings in his competence and experience. 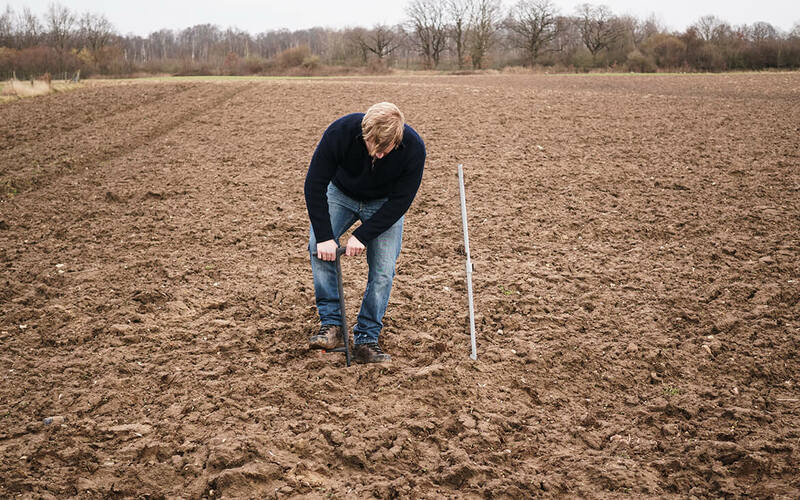 The awareness for soil quality is strengthened, as he comes into direct contact with the soil at regular intervals and can thus also incorporate subjectively perceived changes. Soil is not an anonymous component of the agricultural system of food production. 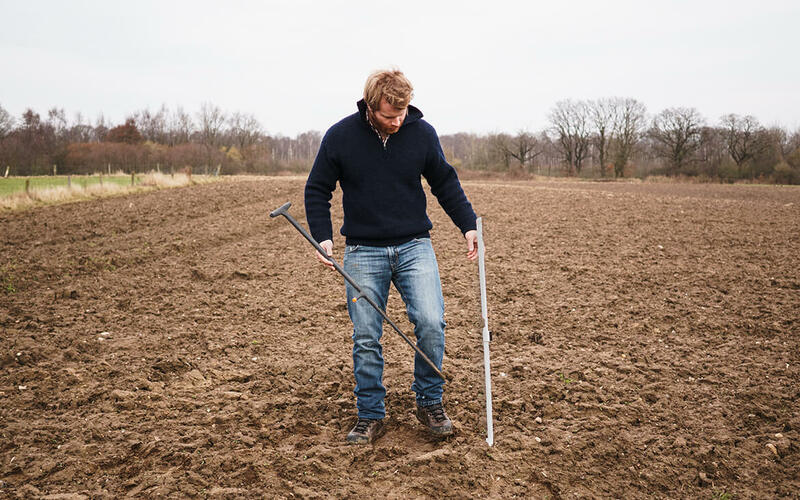 The farmer takes the tool walks across the field to measure single spots. He holds the measuring device in his hands and moves the sensor unit to measure and save relevant data. 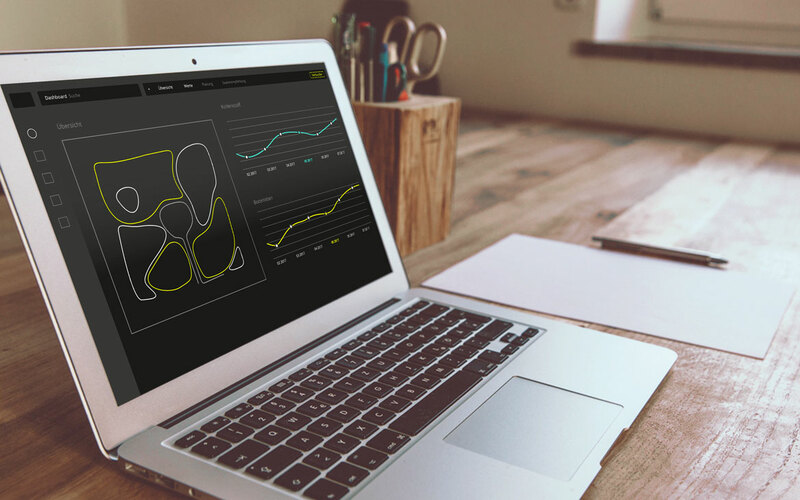 The measured data will be saved right away and merged into a soil management plan in a separate software. 1. 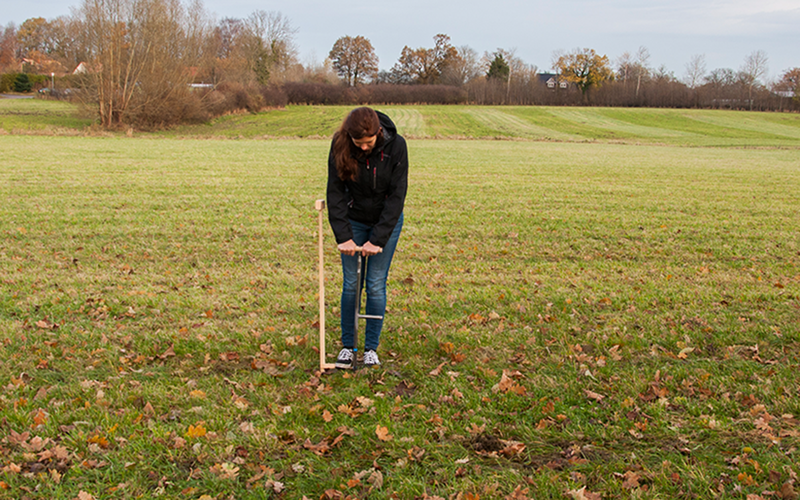 Together with the measuring tool, the farmer walks out onto his field. 2. 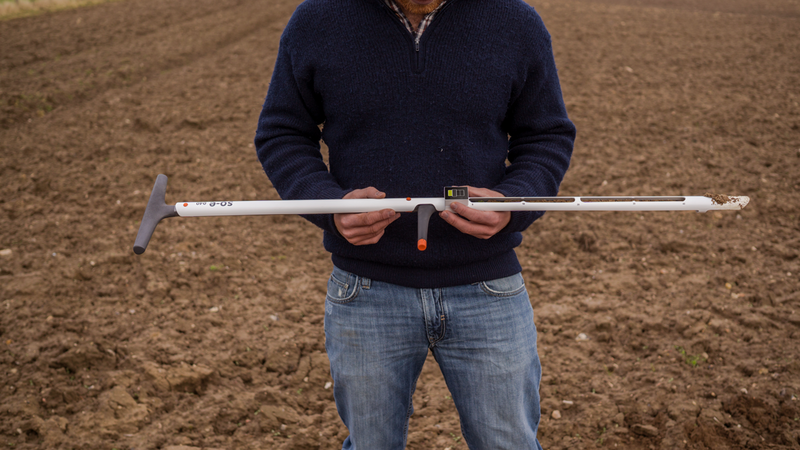 The mobile part of the sensor navigates the farmer to the next relevant measuring point. 3. 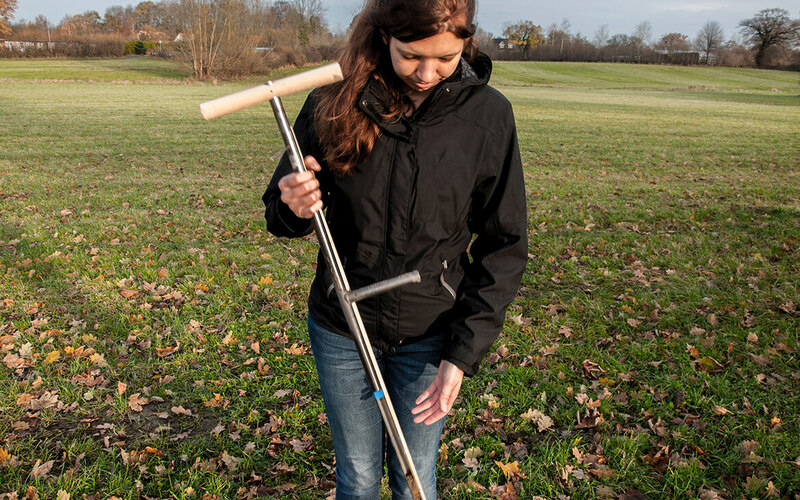 The farmer takes a soil sample from a depth of up to 40 cm. 4. 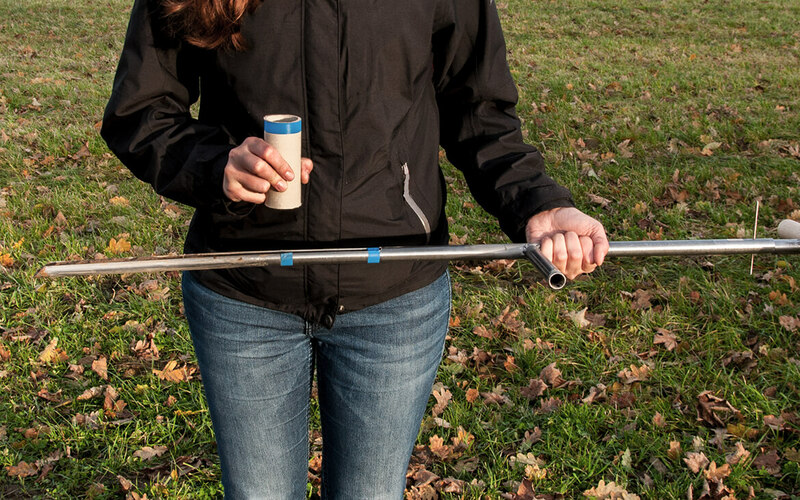 The farmer brings the sampler and the measuring rail back together. 5. 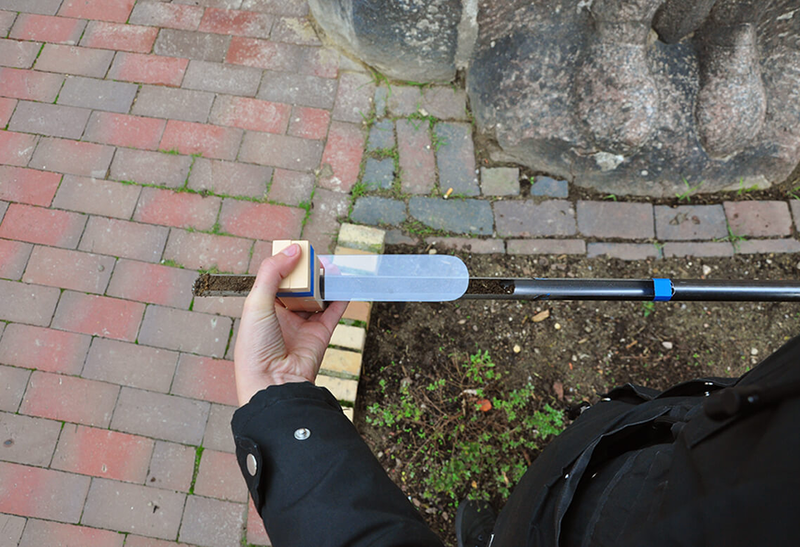 The farmer pushes the sensor over the sample. 6. 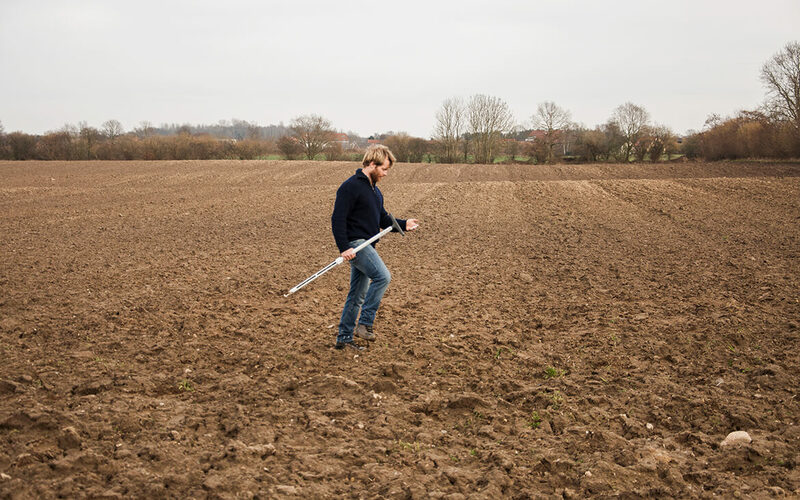 The farmer measures the soil sample directly on the field. The date will be saved right away. 7. In a seperated software the data will be merged into a soil management plan. 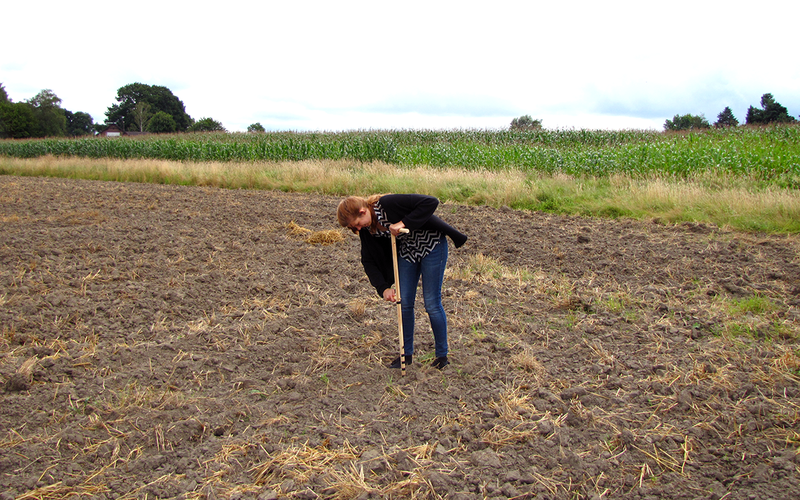 How might knowledge of soil quality, change our farmland? 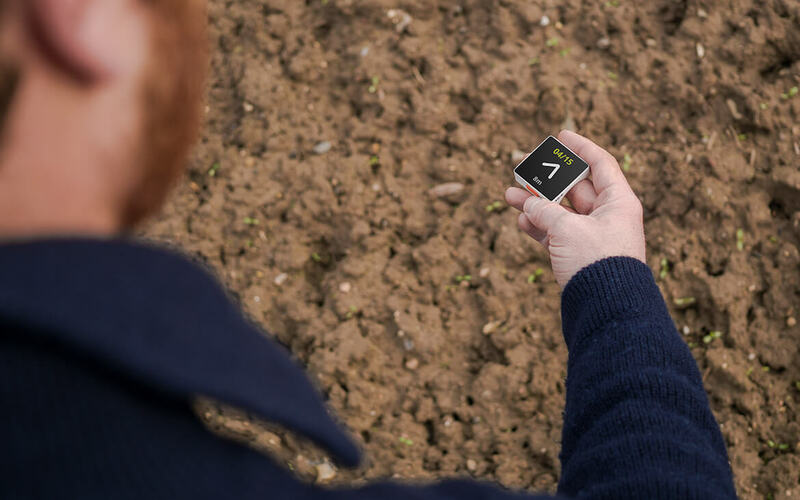 By measuring regularly soil quality, the farmer is able to create a map that gives him information about the soil performance. He can react to this by deciding more consciously which plants are to grow on the land. In the long-term view, the farmland structure might change, into more dynamic and soil focused field shapes. In my design it was important to emphasize the contrast between power and subtlety. The sampler is rough and robust, but the rail is smooth and, with the sensor sliding on it, a precise measuring instrument. 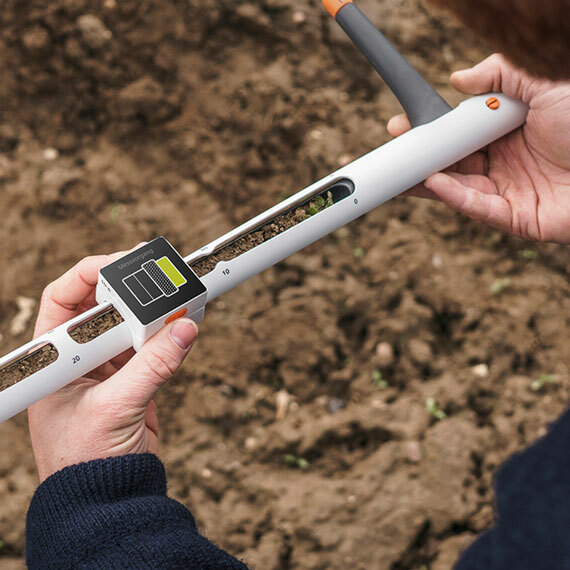 The measuring tool is divided into two main elements: The sampler for taking the soil sample and the measuring rail, which is not pricked into the soil. 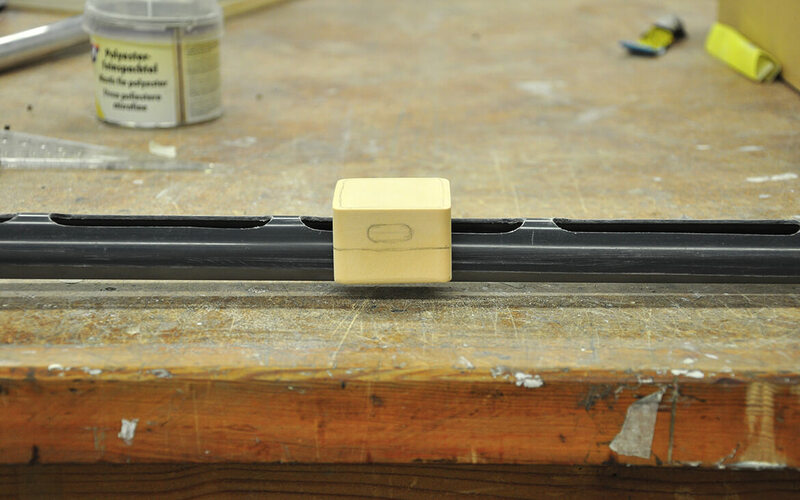 The measuring sensor runs along the rail. The measuring sensor is divided into a fixed and a mobile part. The mobile part can be removed and serves as navigation to the measuring points on the field. What is soil? - Soil covers only a thin layer of our earth. Depending on climatic influences, nature needs centuries to create just one centimeter of soil. 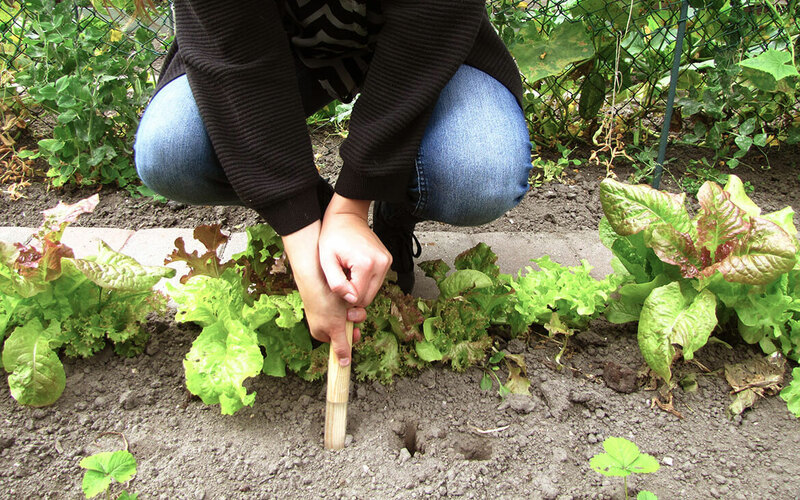 We, humans, use soil as a resource for our food. But the way we use this resource it gets lost. 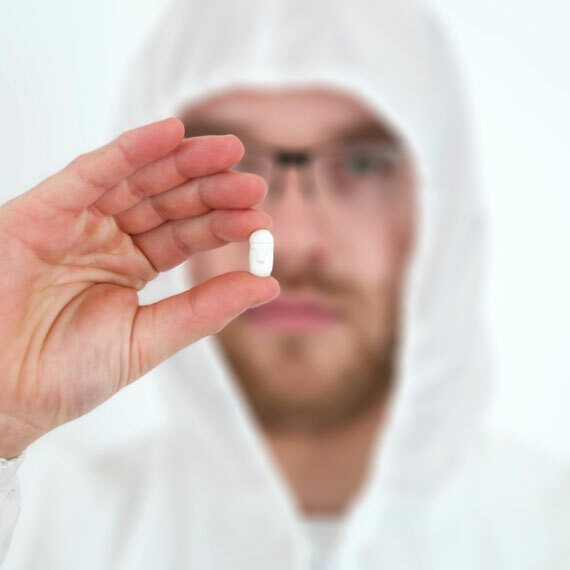 Chemicals, monocultures and heavy agricultural machinery are just a few reasons for the deterioration of soil quality, which can lead to a complete loss of soil. 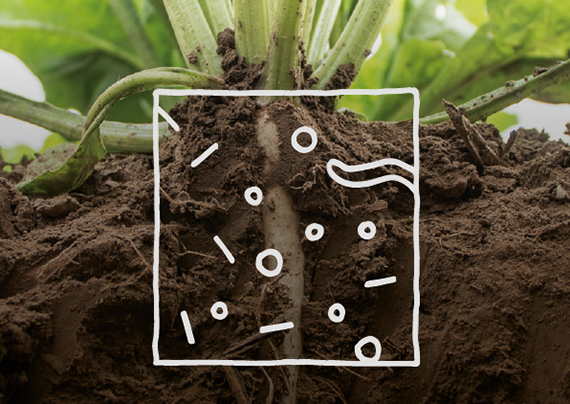 Numerous macro- and micro-organisms in the soil ensure healthy and nutritious soil. 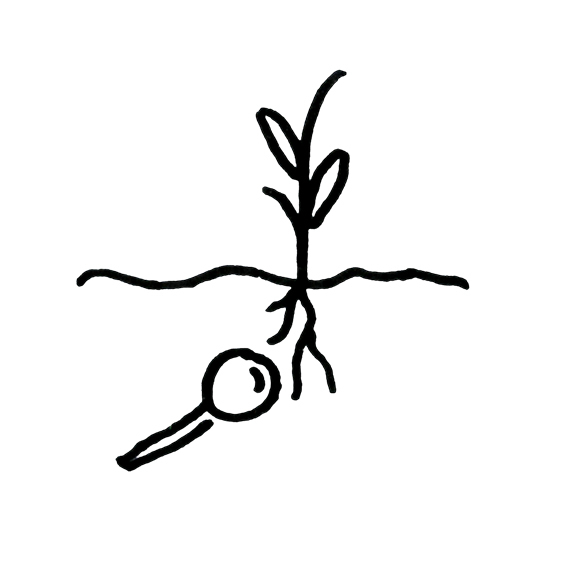 Through their movements and digestion, they distribute nutrients within the individual soil layers and thus make them available for the roots of the plants. In addition, they loosen up the soil and ensure that oxygen and water can enter the soil, which in turn causes the formation of new soil life. 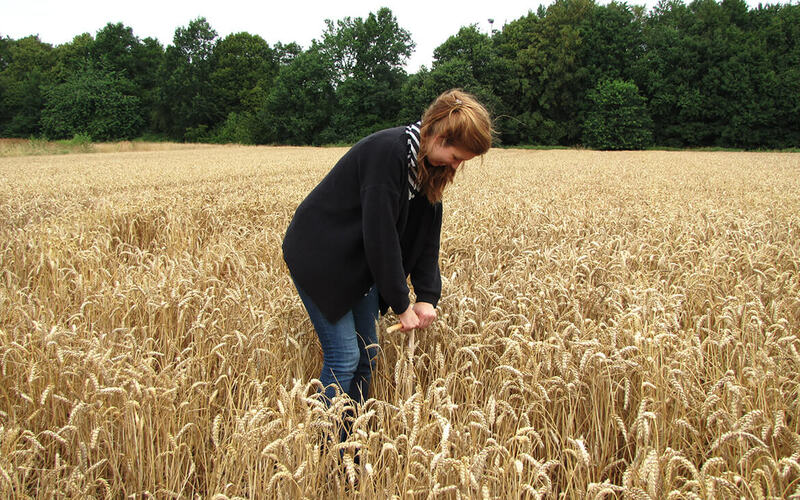 Throughout the project I have had contact with agricultural experts. By talking to farmers, I found out what role soil plays for them in their daily work. 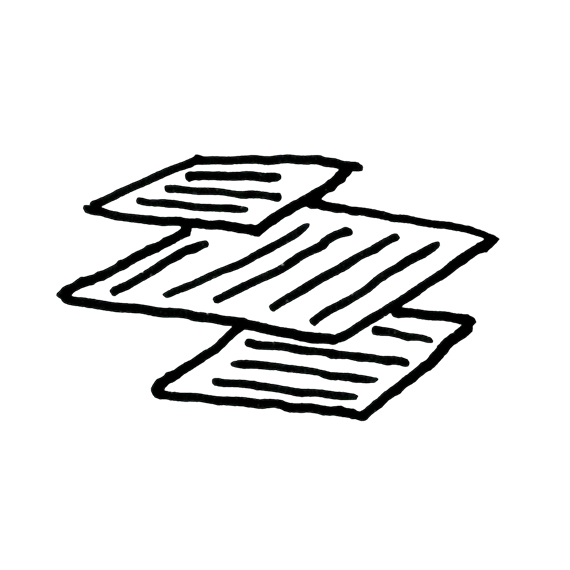 I have collected many important findings that I could use to test and iterate my concept. Two of the most interesting findings are political influences and financial pressure. 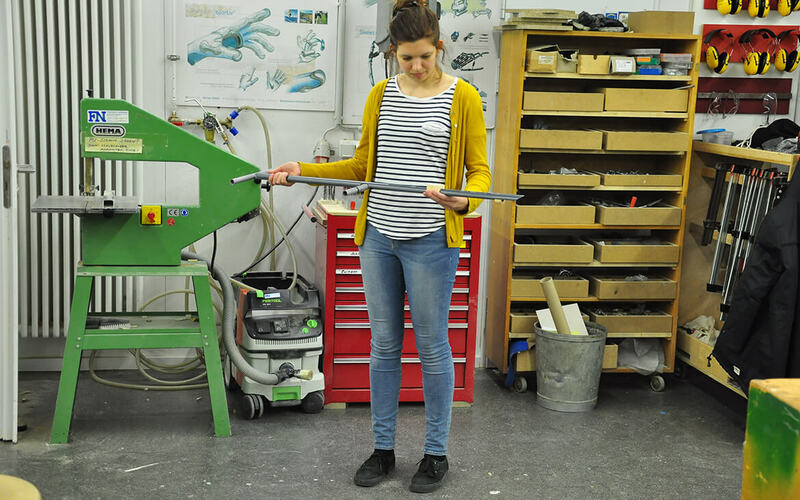 I was nominated for the muthesius prize and my project was exhibited in the Kunsthalle zu Kiel. 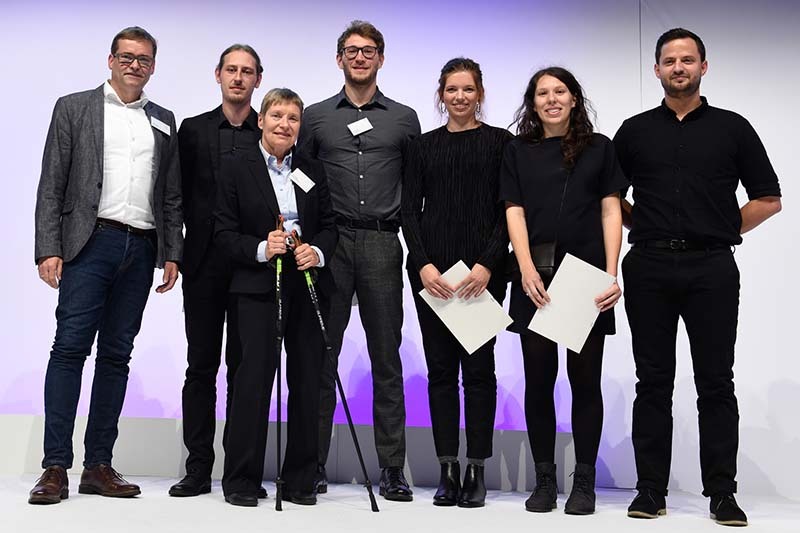 I received the Mia Seeger Award by the Designcenter Baden-Wüttemberg. I am proud to be honored with this award. 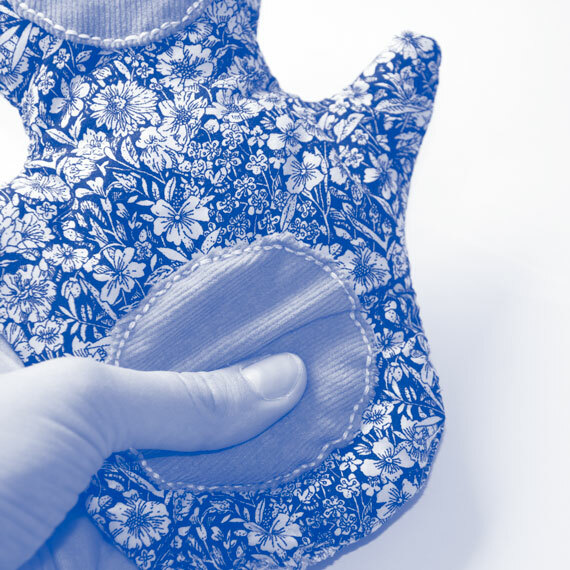 It combines social, ecological and ethical values. 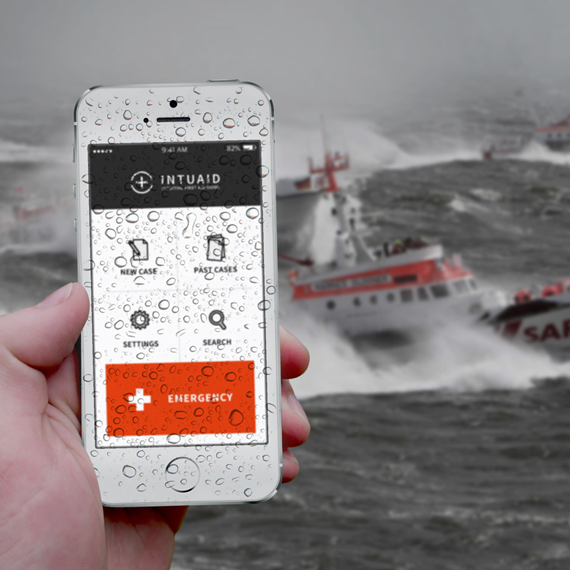 I presented this project as a speaker at the European Design Days. 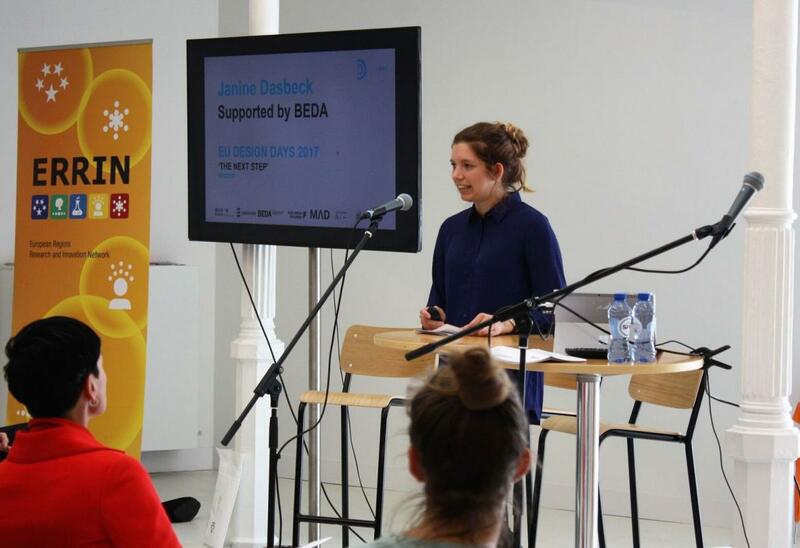 I loved to share my thoughts and to receive valuable feedback.